Natural Sea Walls – St. Joseph County Michigan. 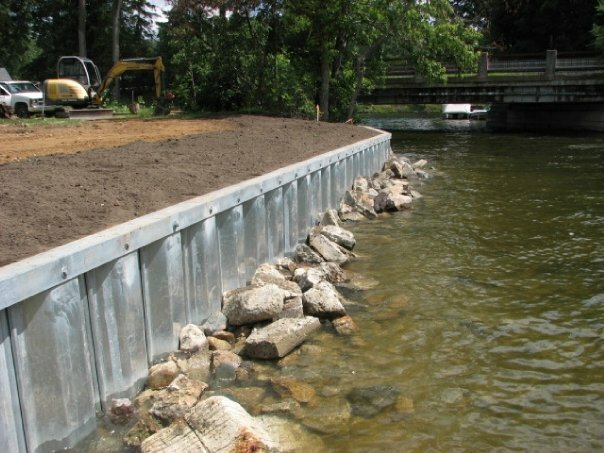 One of the services that Cottage Care Company takes great pride in is designing and building natural sea walls in Michigan. 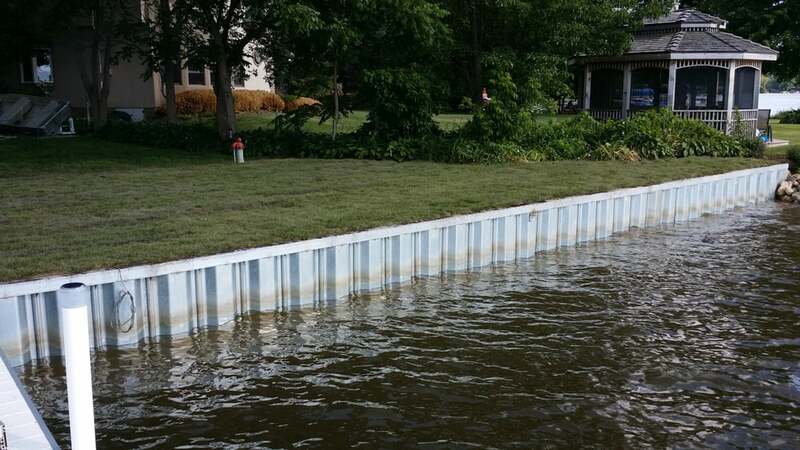 Sea walls act as a protection buffer between your shoreline property and the endless waves from boats and personal watercraft that can cause soil erosion and damage to your waterfront. 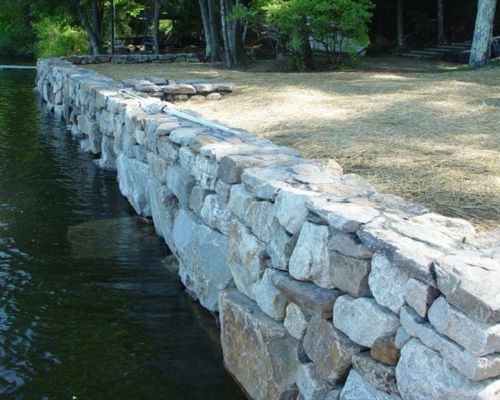 Sea walls are constructed with a variety of materials, including poured concrete, vinyl, and steel and even railroad ties. Fieldstone is another wonderful material that not only adds natural beauty to your property, but actually aids in absorbing the energy of the endless waves themselves. Instead of waves violently rebounding off from a solid sea wall and crashing into more oncoming waves, their energy is more naturally dispersed over the fieldstone. 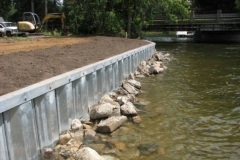 This not only helps decrease underwater erosion at the base of the wall, but also protects the natural habitats of fish, frogs, turtles, crayfish and other aquatic wildlife that make lake living even more enjoyable. Our fieldstone for these custom projects comes directly from decades’ to century old stone piles our family’s Sesquicentennial farm in St. Joseph County. Not only are you getting a getting a naturally beautiful sea wall for your lakefront property, you are getting a bit of 150 year-old heritage from our family as well. 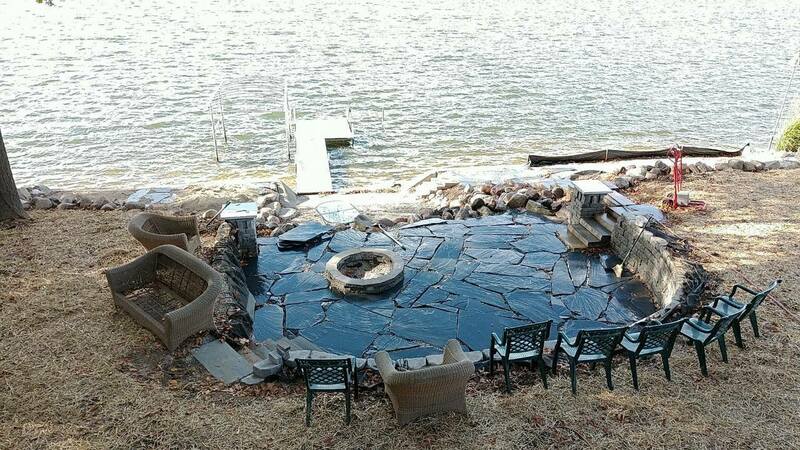 With Summer fully underway, we understand a construction project of this size would be disruptive to the memories yet to be made with friends and family coming to spend time with you at the lake. 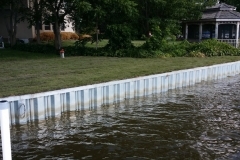 But as you cruise along the lake this summer, take a closer look at the variety of sea walls on other properties and even take some pictures of ones that really stood out to you. We would love to speak with you and come out and walk your shoreline together. We also have our own photos of completed sea wall projects that we can share with you as well. We want to work closely with you to design the waterfront of your dreams that is unique to your family and truly enhances the natural beauty of your property. 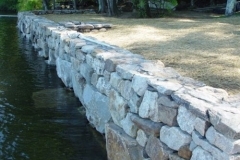 Contact us today to get a free estimate on a natural sea walls in Michigan and start sharing ideas!